American country music superstar Jason Aldean is coming to Ottawa on February 9th, 2014. Aldean will be performing at the Scotiabank Place, aka the Canadian Tire Centre. With his five studio albums, including the latest entitled Night Train, released in October of 2012, Jason Aldean quickly became one of the most famous names in country music. 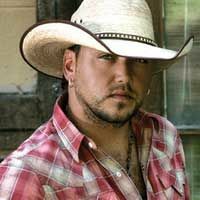 Be there when Jason Aldean performs live in Ottawa in February ! You don't wanna miss that !